WeblinkIndia.Net combines innovation with its technological expertise to come up with industry-leading business ideas for the growth & success of its clients. Incepted in 1997, WeblinkIndia.Net has evolved with the technological evolution and managed to get ranked as a leading web design & development company in India. Over the past two decades, we have offered end-to-end web solutions for your business growth. WeblinkIndia.Net offers a golden opportunity to all individual for nurturing their talent in a supportive and tech-friendly environment. If passion and ambition are your drivers, we welcome you to become a part of our team. Over the years, WeblinkIndia.Net has brought together a team of 200+ professionals who work together as a family to attain business goals. Digital marketers, web developers, designers, and other tech-experts come together to deliver great value to our clients. Maintaining the highest standards of quality in project delivery is what matters the most at WeblinkIndia.Net. We have brought together a team of expert developers, designers, marketers, and other tech professionals, who mix their industry knowledge with their creative thinking to provide the best-in-industry solutions that meet and exceed the expectations of our clients. Keeping transparency in the progress of each project not just allows us to keep our clients posted about each and every step of our undertaking but also help us win their trust and build integrity. We believe that keeping our clients in loop through each and every step of our development process enables us to deliver the best results. For building long-term relationship with all our clients, we offer FREE support for a year on all matters. Apart from offering constant support, we also provide free website maintenance services post the delivery of our projects. 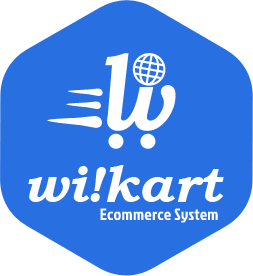 WeblinkIndia.Net is a certified website development and website designing company in India that is trusted by over 12,500 clients across the globe. Working in the tech world for over 20+ years, we have managed to bring astute tech heads together for the completion of each project that we undertake. Our experience in the industry has helped us acquire the essential industry insights for successful projects.